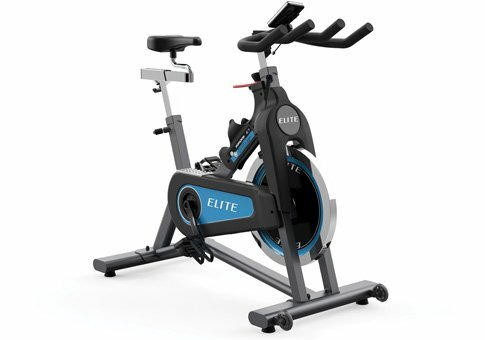 The Elite IC7 is the higher end indoor cycle from Horizon Fitness, one of the most highly regarded names in the fitness industry. A step up from the base M-4 model, you get plenty of adjustability and comfort features making it as close to an outdoor ride as it can be. The IC7 comes with a basic 4" LCD display offering workout metrics such as calories burned, speed, heart rate, RPM, distance and time. Get the IC7 Indoor Bike on Sale at the Horizon Fitness Store! The Elite IC7 is a nice step up from the base M-4 Indoor Cycle, with a heavier flywheel, higher weight capacity and larger display. 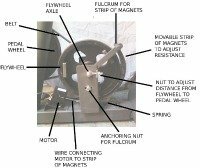 It also has a belt drive rather than a chain drive, which typically means a smoother, quieter ride as well as less maintenance required. You can adjust the multi position handlebars vertically, and you can adjust the cycling saddle both vertically and horizontally. The pedals have toe straps and you can swap them out for your own pedals if that is more comfortable for you. So there is a higher degree of adjustability on this one. Also not included on the base model is the wireless heart rate monitor, which is a nice addition not typically found at this price level. 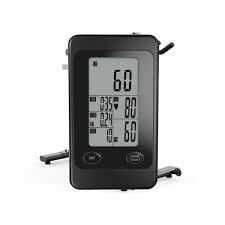 With the wireless monitor you can measure your heart rate more accurately than the typical grip heart rate found on many ellipticals and treadmills. The monitor is very basic, but it gives you all of the important specs. It may not be as accurate as some of the computers on more expensive indoor exercise bikes...but it is definitely sufficient. The ride is very natural and comfortable, something user reviews mention quite often, which is important especially when you're on the bike for extended periods of time. Any complaints? Not really. You can't track your workouts like you can on Horizon's similarly priced Elite upright and recumbent models, but that's not really a deal breaker. 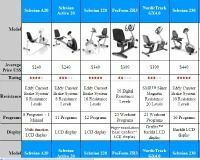 These are solid bikes that will give you a great workout, and very similar to the better machines you find at the gym. All of the Elite series bikes from Horizon get very positive reviews and high ratings from industry experts. The company is known for building high quality bikes with good features without charging a lot of money. At under $900, the IC7 is a great choice for those who want that Spin class experience right in their own homes. If you want to save a little money take a look at the M-4 model as well. Get more info and special sale pricing on this popular bike here!